It wasn’t easy, but we managed to track down eight of Egypt’s brightest (and most attractive) young people in different fields and brought them together for our amazing cover feature. eniGma’s Mohamed Hesham and Farida El Sayed got to interview each of these society darlings and gleaned some great insights on what makes them soar. As you will find out in the following pages, each one of these young men and women is a star in his/her own field. What they have in common is their drive to excel, a sense of optimism, determination and a readiness to work hard. We salute them and all of Egypt’s ambitious young stars, and there are many! A former Miss Egypt, today Karine Fahmy is a successful and captivating television presenter. Fahmy was only 18 years old when she won the Miss Egypt competition and went on to represent her country for the Miss Universe title in Hawaii. “It was the best experience of my life. Being part of it helped me gain more confidence; getting exposed to different people from all around the world was an eye opener at that age,” says Fahmy, explaining how being former Miss Egypt still lives with her till this day. Fahmy majored in Advertising in college. “After Miss Egypt, I started modeling; it was a stepping stone to get me to where I wanted to be. I started working in styling and art production, then I stumbled across producing, which involves juggling many different aspects of the business. I found that very interesting because I was eager to learn,” says Fahmy. Once she got married, however, she found it too time-consuming and demanding. So, when she received an offer to be a TV presenter, although she was very camera-shy, she went for it and joined O-TV’s morning show, Sabahak Sokar Zeyada (Good Morning to You). With the 2011 revolution, however, the show was stopped. At that point, Fahmy decided to take some time off, and focus on her children. When her two children entered school, however, she went back to work, joining ON TVs talk show, Set El Hosn (Fair Lady), hosted by a group of women led by Sherihan Abou El Hassan. Like the first show she hosted, this show is also aired live, which is Fahmy’s preference. “I don’t like recorded episodes. I like spontaneous reactions. I find it more interesting to go live than to record and be repetitive,” explains Fahmy, who says she, nonetheless, still gets the jitters when she goes on air. “With each guest, I’m always a bit nervous,” she admits. Recently at the El Gouna Film Festival, Fahmy interviewed celebrities live on stage for the first time. “It was a completely different ball game, I was overwhelmed. I was grateful and humbled that people responded in a positive way towards my performance,” says Fahmy. Fahmy credits her success to God and her parents. “My parents were very supportive, and my mum still watches me, and criticises me whenever she feels I can do better,” says Fahmy with a laugh. “Sometimes work makes me forget about my other hobbies and interests,” says Fahmy, adding that one of her unfulfilled dreams is to become a painter. “I also want to start kite surfing and to concentrate on some hobbies I’ve neglected, such as diving,” Fahmy says. Fahmy believes that the common message in all the work she’s done is ‘helping people.’ “This is a part of my personality. Even in my work, I look for good deeds,” she says. Who is your dream dinner guest? A person who tremendously inspires me in Egypt is Omar Samra. When you’re not working, what’s one thing you like to do? This stylish 36-year-old entrepreneur has more than a few titles. He is Vice President of Zarkani Aviation Services, the co-creator of KULT Creative Productions, a partner in Digital Egypt, and board member at Souna Farms. His father jokingly calls him, “a jack of all trades and a master of none,” even though Zarkani has proven to be a success at everything he does. Born to an Egyptian father and a Danish mother, Osman Zarkani, studied International Business and Political Science at Webster Leiden University and speaks five languages. “I’m always curious to try different things and broaden my horizons,” says Zarkani. Currently Zarkani is focused on a couple of other ventures, including KULT Creative Productions, which he calls his ‘baby,’ the company behind Battle of the Bands and Battle of the Wheels in Egypt. “I had the pleasure of gaining all the experience the family business offered, but eventually it wasn’t mine to take credit for. I wanted to have something that is completely and independently mine,” explains Zarkani. “I was attracted to the idea of being part of something that targets the youth, much of whose potential is wasted and needs to be discovered. 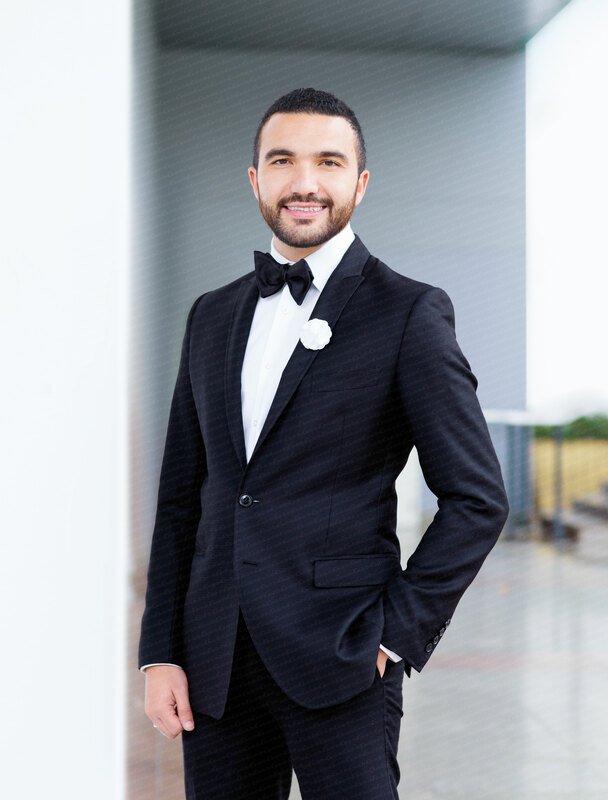 We showcase local talent, proving to the world that we are capable of pulling off events with such magnitude,” explains Zarkani, who credits the success of KULT Creative Productions to his partners, Karim AbouGhaly and Karim Hafez, and all his dynamic team. Battle of the Wheels is a similar series of events they carry out with the same overall theme as Battle of the Bands, but with car races, and shares similar success. As an entrepreneur, Zarkani is a true believer that Egypt is an ideal place for budding ventures. “There are a lot of opportunities and there’s much potential. It is all about fighting for it,” he says. “For now, I am focusing on growing as a person while helping people with my job and I continue giving back the support and love I’ve been shown throughout my journey. My goal is to aid KULT to become more internationally successful and to host several other battles with new ideas. The battle concept will definitely go on. It is still a long journey ahead of us,” he exclaims. The little devil inside (laughs). Thirty four year old Tamer Erian, a graduate of McGill University in Canada, is part of the power trio behind Cairo’s latest culinary gems, Gigi’s Burger Bar, Izakaya and Mezcal. Born into a family in the tourism business, after the 2011 revolution the young entrepreneur switched gears and entered the food business, which was somewhat less volatile than tourism. Erian explains that the high quality of the food served in their restaurants is largely due to the Peruvian chefs that have been flown from abroad to provide an authentic experience to their customers. “What we’re trying to do in Mezcal and Izakaya is to sell an experience. What people come to these restaurants for and take home with them are memories,” he adds. He and his partners carry out “daily adjustments to make sure we maintain the same mood, the same atmosphere, the same spirit of each place.” Erian is quick to note that there still are challenges related to the generally unstable economy these days, which for example, means that they have to alter recipes every three months depending on the availability of ingredients. Despite being the captain of three flourishing restaurants, Erian is reluctant to call himself a success. He insists that he “still has a long way to go. To be considered a real success, we have to maintain our position over the long haul.” Despite his refreshing modesty, Erian is also ambitious and looking for new ventures all the time. He says his future plans include non-alcoholic concepts for a broader market. But for now, you can find this charming young restaurateur at Mezcal on Friday nights making sure you leave with an unforgettable experience. I can say my father is my greatest teacher; but I don’t have one single person I want to emulate. There are a lot of people that I hold in high esteem. I would like to be more decisive, more adventurous and more risk taking. Just sit on the floor and play with my son, Adam. 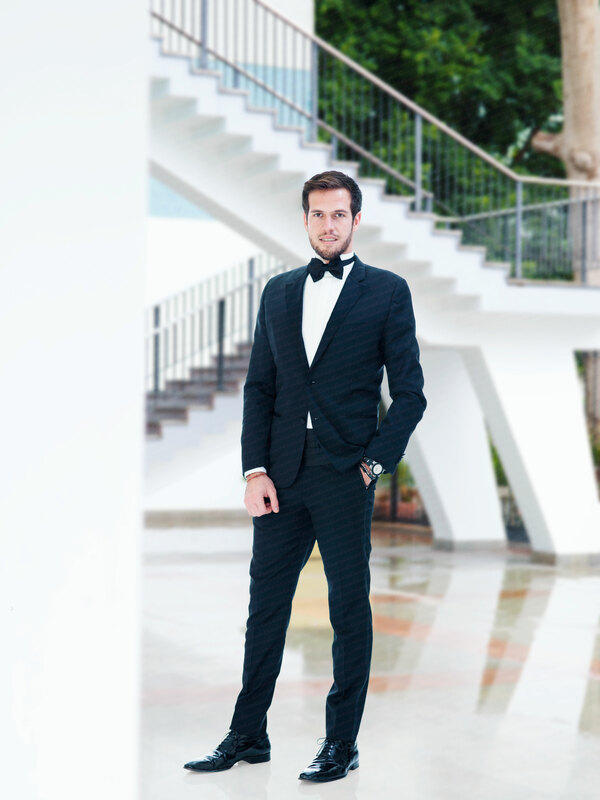 A graduate of the prestigious hospitality management school of Glion in Switzerland, Taymour Erian, 29 years old, is part of the trio behind Cairo’s latest trendy spots, Gigi’s Burger Bar, Izakaya and Mezcal. 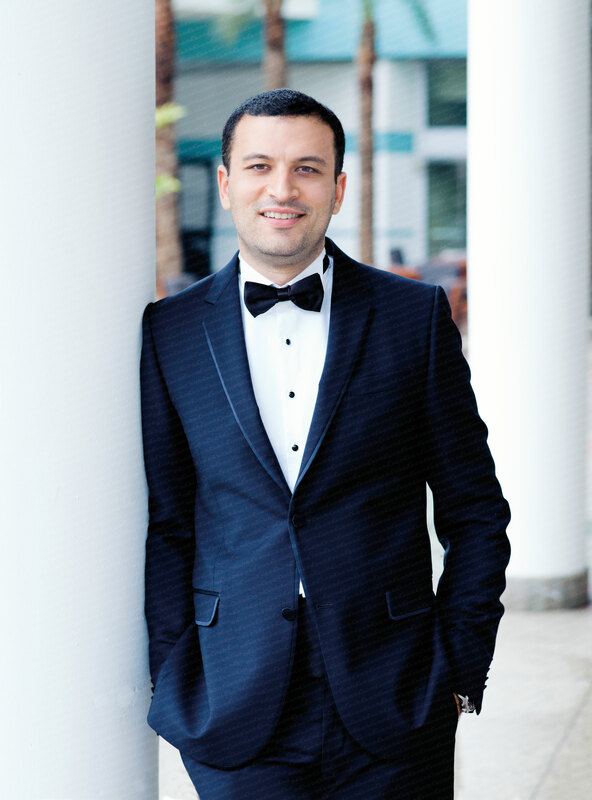 After finishing his studies, Erian spent time working at the Ritz-Carlton in Dubai and the Lowell Hotel in New York City, gaining valuable practical experience in the hospitality field. He then decided to come back to Cairo, where he believes there are more opportunities. “Egypt has a lot of things to offer. There is an opportunity to make this market as good or at least close to the European one,” he explains. Erian enjoys the challenges that come with dealing with his Egyptian clientele, which he says, keep him inspired. “My ideal customer is a person who challenges my operational standards, a person that is not satisfied with the minimum. This customer actually motivates me to take my standards to another level. Again, you always have to be on your toes! A happy customer is definitely a good thing, but I don’t settle for just that,” he says, smiling. Judging by the rave reviews for their three establishments so far, Erian and his two other partners seem to have the right recipe for success. I could be very impatient, extremely. Sports, definitely. It’s a big influence over my day to day life. Laila Sedky, Founder of NOLA Cupcakes, Egypt’s first cupcake empire, runs the company with her brother, Adel, and serves as the brand’s Chief Marketing Officer. Sedky, who graduated college from Montreal, Canada, and her brother, were inspired by bakeries abroad and saw a gap in the Egyptian market. That’s how they decided to open the first cupcake store in Egypt. After studying the market for a year, the ambitious siblings decided to build their brand differently from the other home baked goods on Facebook, and the results encouraged them to open their first store in Zamalek, Cairo. “We saw that there was a demand on Facebook and no reasonable access, so we wanted to penetrate the market and be the first cupcake store in Egypt. We were very young, and with a brand new product to introduce to the market. Although we had zero experience, we had huge ambitions. All my friends were getting promotions while I was still trying to get NOLA on its feet,” she recalls. The first challenge was to “ensure quality and to train our team to deliver the very best,” she recounts. “The next challenge was getting the customer to the door.” Sedky credits a large part of the brand’s success to the 200 plus team working for the company. “This brand wouldn’t be what it is without them,” she says. Laila and Adel Sedky’s success is not limited to business, however. They have set up the “#NOLAGivesBack foundation, which works with many public service organisations. We are very active in giving back to our community and are very proud of our foundation. We have worked with Omar Samra and several NGOs, and we target people with autism and cancer,” she explains. With so many things going on with the company and NOLA taking a fairly big part of Sedky’s time, she is still able to balance her professional and personal life. “You have to learn to trust the people you hire, to delegate and to create a network of support. Only then will you be able to establish a personal life while you maintain your career. So, it comes with time,” she wisely explains. Larry King or Jeff Bezos. One half of the sibling duo behind NOLA Cupcakes, Adel Sedky is the Chief Executive Officer and Managing Partner of the company. With the 2011 revolution exploding two months after they opened the first store they thought they would be forced to close immediately. Today, 19 stores later, they are still going strong. Like his sister, Sedky went to Montreal, Canada for college, and credits Canada as the place that shaped him. Inspired by such bakeries abroad as Itsi Bitsi and Magnolia Bakery, and seeing a gap in the Egyptian market, the Sedky siblings opened the first cupcake store in Egypt. Sedky is constantly energised by the feedback they keep getting, especially from young people. “Our customers’ feedback, especially when they write beautiful comments on our napkins make us want to work harder,” he says. One of his particularly triumphant moments was when they opened their first store in Korba, in Heliopolis. “The traffic in the street came to a complete halt because of the huge crowd!” he recalls, adding that the opening of their store in Mansoura also elicited an amazing reaction from customers. For now, Sedky’s main focus is to take NOLA global. The Sedkys are starting with Kuwait, and they are both equally excited to see how the path unfolds. Given the success achieved with the brand in Egypt, chances are NOLA’s path abroad will be just as successful. Talaat Harb (who was one of my great grandfathers). Nehal Leheta, renowned in the field of interior design, is co-founder of Design Point Egypt, with her partner Karim El Haywan. Leheta’s work echoes her free spirit and passion for creativity. Her designs all consistently attempt to create the perfect mélange between art and craft. “I love art in all its forms,” says Leheta who’s working style is very laid back and fresh with each new client. “I don’t like to force a certain theme on my clients,” she adds. Leheta’s path to starting her own business began when architect and friend, Karim El Haywan, approached her to collaborate with him a on a free-lance project. The project proved successful in its output and more importantly, it brought to light the potential they have together as a team. They continued to collaborate on projects until they made the decision to formally start their own company. They started out in a small Zamalek apartment that they couldn’t even afford decorating. “It is so funny to me now,” says Leheta with a laugh. Another area that Leheta is highly devoted to is cuisine. She is a published author with her book on Egyptian cuisine, Authentic Egyptian Cooking from the Table of Abu El Sid, available at Amazon in Arabic, English and German. Away from her artistic endeavors, Leheta is the proud mother of seven-year-old Hashem. “He is my favourite travel buddy,” says Leheta. At first, she found it hard to balance her professional and personal life. Now with more experience and diligence, Leheta is able to effectively manage her commitment to her work and her devotion to her son. Salvador Dali… Dinner and also lunch, actually (laughs). Fear issues and being too spontaneous. After seven years of work, Fouda got a scholarship to get her MBA in London. “It was so refreshing to leave home and move to another country. I love traveling and discovering new countries and cultures,” says Fouda, who decided to work in London for a while, until she was hired by Sony Music, in Cairo. At Sony she worked on launching singer Shakira as a brand in Egypt for the first time, and on signing up local artists. “It was a really fun job. We made an Egyptian remix for a Shakira’s song, Whenever, Wherever, for Dream Channel for marketing. Shakira loved it, and then, the reknown presenter, Hala Sarhan picked it up,” says Fouda. Fouda then moved to media with a company called Egyptian Arab Media, followed by Dubai working for a TV station. Marriage and kids followed and she moved to Milan with her family. “I lived in Milan for five years, during which I became fluent in Italian and was immersed in Italian culture. I did one consulting assignment for Vodafone there which was also very enriching,” claims Fouda. s and making every event better than the client’s expectations, she explains. “I’m still doing a fun job that often involves long hours, but as a mother, I find that I’m always short of breath. When I’m working, I appreciate the time I spend with my kids more, but I am the kind of a mother who can’t just stay at home. I need to be working,” Fouda explains. Fouda considers Egypt a great base for her line of work. “Despite the challenges, there is room for growth and improvement,” says Fouda. Looking forward, Fouda wants to work in education, someday. “Education in this country is in a critical condition, and I want to contribute to improving it,” she says. Her ultimate dream, however, is to have her very own business and to pass it on to her kids. My late grandfather, Abdellatif El Baghdady. Any mother who manages to be successful at her job and raise her kids properly. Boutique51: 35 B Abou El Feda St., Zamalek, Cairo, Egyot. Dima Jewellery:1 Kamel Mohamed St., 6th floor, Suit 23, Zamalek, Cairo, Egypt.